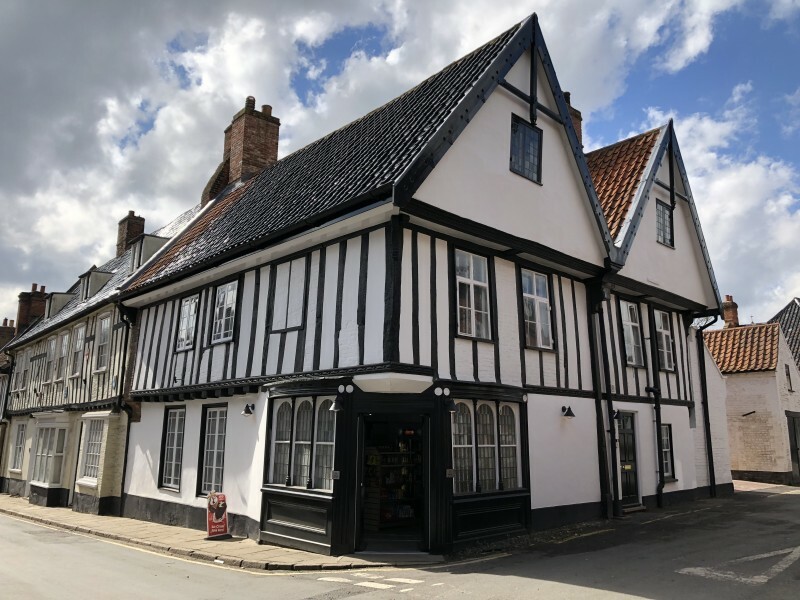 What we see now dates from the mid-16th century, but it is thought that there has been a building on this spot since the 1300s, most probably a pilgrim hostelry possibly the one known as ‘The Moon & Star’ later ‘The Saracen’s Head’. In the late 18th century it was occupied by Mr Henry Andrews, the Peruke (Wig) maker. In 1817, upon his death, the business passed to his son Matthew. (The bowed shop windows date from the early 19th century.) From 1868 it was licensed as a Public House. During the 20th century it was substantially damaged by fire. It is said that the local fire brigade were unable to bring the fire under control until the next morning when all the beer had run out! Placed on the market in 2009, the Oxford Stores failed to find a buyer as a pub, and was purchased at auction in 2010 by a local charitable trust whose objectives include the preservation and improvement of buildings of historic, architectural and constructional interest in Walsingham and the surrounding area. Following the complex restoration, the building now houses the village shop with two flats above.